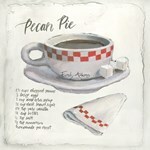 Recipe art has been used in cookbooks for generations. However, modern artists have re-invented this art form into a unique form of illustration that is beloved by art lovers and culinary aficionados around the world. 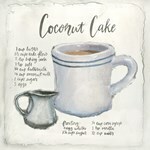 This artwork has created a new and memorable way to showcase family recipes, as well as create a useful type of kitchen art that is not only beautiful but useful. Recipe art was developed alongside pop art, when typography became a popular form of artistic expression. Traditional and modern styles are embraced in this artistic category and can create unique works that touch the hearts of those who view it. 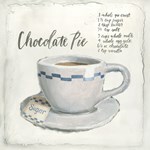 Additionally, recipe art doesn't just depict culinary knowledge but can also be used to represent abstract ideas of love, friendship, and family, such as in J. B. Grant's realistic painting 'Happy Marriage Recipe'. Drink recipes are a popular subject for this category of art, due to the fascination of audiences with the sophistication and glamour of celebrity life. These works are typically more stylized in depiction and can either feature the beverage alone with another component, as seen in the pop art painting 'Martini Lady' by Lisa Ven Vertloh. 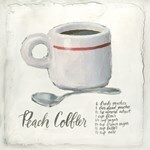 However, recipe art doesn't require typography in order to still fit into this category. For many artists, simply showing what ingredients are necessary is enough. These artists choose to demonstrate the process and feeling of following a recipe to create food rather than actually copying down the recipe itself and then basing the resulting graphic result after it. These works typically resemble a still life work but have very specific compositional structures and subjects in them. 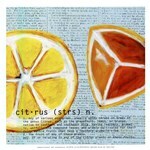 A form of this type of art is seen in the 'Passion for Cooking' series by Charlene Winter Olson. Recipe artists can also choose to use typography and representational painting in tandem, without providing information about the specific recipe or creation process. In this case, the typography is equal to, or secondary, to the items shown in the painting and is typically treated as a design element instead of a communication tool.